The Passover holiday is being celebrated this week – a holiday meant to celebrate the freedom of the ancient Israelites from slavery in Egypt. Many who sit down to the Seder meal use Passover’s symbolism to celebrate the freedom of all people from oppression. 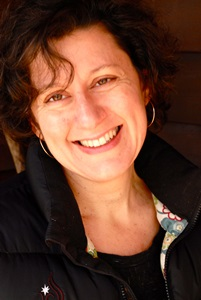 Author Leah Vincent grew up within a very devout Jewish community. But her life within that community was anything but free. As a female, the role she was being groomed for within the ultra-Orthodox Yeshivish Jewish community in Pittsburgh, PA was narrowly confined to making her future husband happy and being the mother of many children. Higher education was forbidden, as were personal expressions of opinions, dress, sexuality and more. Yet, despite her devotion to the beliefs of her community, Leah Vincent had a spark of independence that eventually led her to leave her fundamentalist Jewish sect. She went to college, married outside the sect, and became an atheist. She also became involved in supporting the freedom of others who wanted to escape the same background — because escape is hard, entailing condemnation and banishment from family and community. And those who attempt it, like Leah Vincent, often find themselves adrift and at risk in an unfamiliar world. 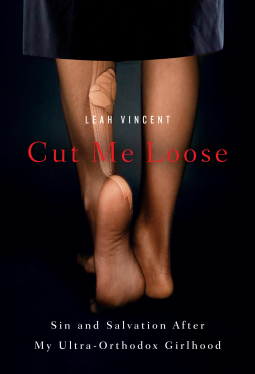 Leah Vincent’s memoir, CUT ME LOOSE, shines a light on a way of life that is opaque to those outside it – but the issues it raises about gender, power, and prejudice bear great relevance for all of us. 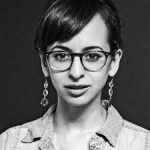 Her work has appeared in The New York Times, Salon, and The Jewish Daily Forward, among other venues. She is a co-producer of the It Gets Besser project and a member of Footsteps, the only organization in the United States supporting formerly ultra-Orthodox individuals. It’s that time of year when Americans turn to that all-too-neglected corner of the literary landscape, poetry. 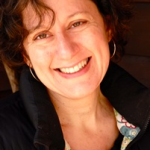 We’ve taken advantage of the opportunity to bring Western Massachusetts poet Amy Dryansky to Writers Voice. She tells us about and reads from her new collection, Grass Whistle. She also tells us about the struggles she faced in reconciling early motherhood and her vocation as a poet — something she explored during a residency some years ago at the Five College Women’s Studies Research Center at Mount Holyoke College. Grass Whistle has been named a “must-read” by the Massachusetts Center for the Book and won the 2014 Massachusetts Book Award for poetry. Fascinating and dynamic interview! Great job Francesca. I just love how your questions are both particular (about cutting, the ultra orthodox world she grew up in) and general (about fundamentalisms).